The School of Physics is committed to providing support and resources to create an equitable environment for all members of the department, including students at all levels and visitors. This has been demonstrated through a number of initiatives over the history of the school and now through the formation of the Equity and Diversity committee. 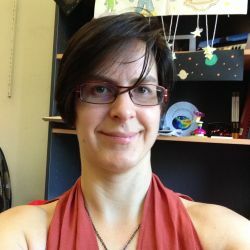 Participation in the Athena SWAN?SAGE Award and the Astronomical Society of Australia's Pleiades Awards. 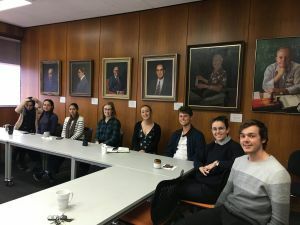 If you are interested in becoming involved in the School of Physics Equity and Diversity Committee activities or wish to know more about our initiatives, please feel free to contact the committee chair, Jacinta den Besten (jacinta.den@unimelb.edu.au), or Head of School, Stuart Wyithe (swyithe@unimelb.edu.au). Join the University of Melbourne Women in Physics Facebook page for further updates from the Committee. Our commitment to Equity and Diversity in the School of Physics has resulted in the creation of a number of policies aligned with the University of Melbourne policy library and tailored to the School’s individual needs and philosophy. Join the University of Melbourne Women in Physics Facebook page for updates on our events. Each year we offer a two-night retreat for the female students and staff in the department. This retreat offers talks, mentoring and networking activities and workshops to understand and develop strategies towards combating gender equity issues. In 2018, we were joined by Swinburne University and RMIT and the camp hosted over 50 students, staff and guests. Read more about the camp from 2017 and 2018. 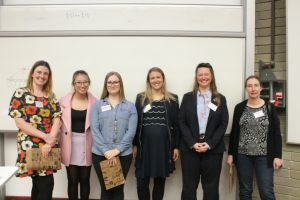 The Women in Physics Camp 2019 will take place from 3-4 May. In 2018, the School of Physics hosted over 80 high school students and 11 teachers and treated them to a special version of the Physics July Lectures as part of the 50th anniversary of these lectures. The students also engaged in a panel discussion and were taken on a lab tour by one of the female graduate students in the department. More information about the Girls in Physics Day will be available soon. This annual panel discussion is hosted by the Physics Student Society and discusses being a woman in physics to high school students. This is a new program started in 2017, where prominent leaders and scientists are invited to have a round table discussion with the research students to impart their wisdom, and craftiest methods, to tackle inequality in the profession. We have since had visits from the University of Melbourne’s previous Provost and current VC of Queensland University of Technology, Prof Margaret Sheil, and The Social Science founder and science entrepreneur, Michelle Gallaher. Join us for coffee or dinner on one of our regular social events. The School of Physics has been involved in this program for Indigenous high school students since its inception. 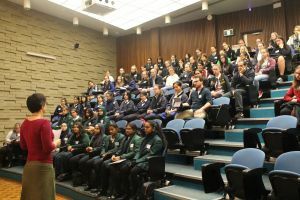 Students spend a week on campus exploring the many areas of science offered at the University of Melbourne. 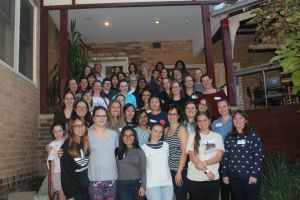 The 60th anniversary of Dr Jean Laby’s PhD submission: This will be a celebration of all the female Physics PhD candidates since Jean Laby being the first in 1959 and the ongoing support of the Laby family through the Laby Foundation. If you are looking for support or advice related to Equity and Diversity, feel free to contact Jacinta den Besten (jacinta.den@unimelb.edu.au) or Laura Wolz (laura.wolz@unimelb.edu.au). The following links may be helpful. Please note that some require internal access to the University's intranet. Article on gender equality and how to improve the status of women. We would like to acknowledge the generosity and support for many of these programs from the Laby Foundation, alumni Dr Hugo Stephenson and Student Services and Amenities Fee grants.